American Honda Motor Co., Inc. today reported record Honda Division sales of 1,373,029 vehicles for 2014 as overall vehicle sales reached 1,540,872 units, the second-best result in company history and an increase of 1.0 percent for the year. AHM light truck sales reached new monthly and annual records with December sales of 67,479 units, an increase of 6.2 percent, and total 2014 sales of 702,351 vehicles, up 1.5 percent. Acura Division sales also gained strongly in December, posting a 13.1 percent gain on sales of 17,809 vehicles, helping push the division to its third best year since 2007. The record Honda Division sales of 1,373,029 vehicles in 2014 was an increase of 1.0 percent versus 2013, led by a 2.0 percent increase in total car sales of 781,224 units. 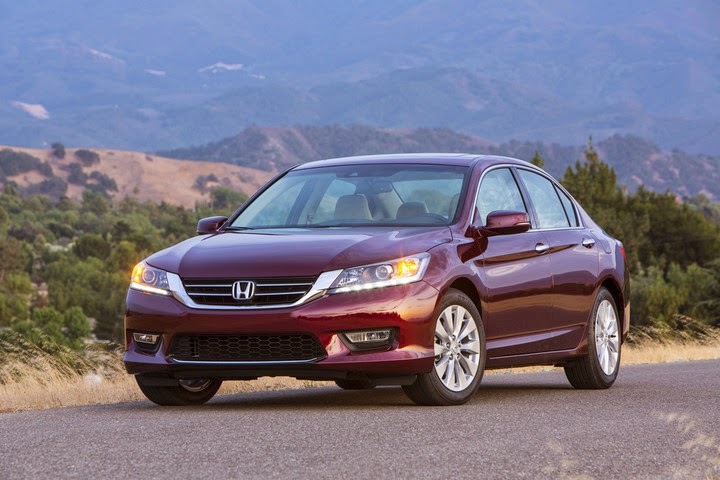 The Honda Division once again displayed considerable sales strength across both car and truck categories in 2014. The award-winning Accord and the all-new Fit led the brand on the car side, while the new Honda CR-V re-asserted its leadership in the hottest segment in the industry, compact SUVs. Accord alone accounted for 388,374 sales in 2014, while CR-V captured 335,019 for the year, a new all-time annual record, and Civic again surpassed the 300,000-unit mark. The sub-compact Fit enjoyed its best December ever. CR-V shattered its previous December and annual milestones, rising 12.6 percent in December on sales of 32,369 units, and 10.2 percent YTD on sales of 335,019. The new Fit continued its hot streak, with 6,450 vehicles sold in December for an increase of 39.7 percent as total Fit sales reached 59,340 units in 2014, an increase of 10.9 percent. Accord posted an annual increase of 5.9 percent on sales of 388,374 vehicles in 2014 while over 325,000 Civics were sold in 2014. Adding CR-V's record haul of 335,019 vehicles pushed the total for these three vehicles comfortably over 1 million units. The Honda Pilot surged 28.0 percent in December on sales of 11,479 units in a fast-paced truck market. "Despite the price of gasoline dropping well below $3 a gallon in many markets, Honda's strong, balanced lineup of cars and trucks helped us achieve record sales in 2014," said Jeff Conrad, Honda division senior vice president and general manager. "The great news is that we will build on this momentum with some great new products coming in 2015." The Acura Division reported total vehicle sales of 167,843 units in 2014, up 1.5 percent — the brand's best year since 2007 – and third consecutive year of increased sales. Acura finished the year strongly with 17,809 new cars and truck sold in December for a total gain of 13.1 percent month-over-month. The Acura MDX and RDX combined for new all-time annual and all-time monthly sales records on combined year-to-date sales of 110,546 units, up 12.6 percent, and December sales of 11,919, up 10.7 percent. MDX rode a wave of popularity en route to best-ever sales of 65,603 units for 2014, up 23.7 percent versus 2013. December sales were up 3.4 percent on sales of 6,761 vehicles for a new all-time sales record for any month. RDX also set annual and monthly records, with total 2014 sales of 44,865, up 0.3 percent, and December sales of 5,156, up 22.3 percent for the month. Total 2014 TLX sales reached 19,127 since its mid-August market debut, with December sales limited only by tight supplies of key models. ILX posted a strong December, with sales rising 10 percent on delivery of 1,730 units. "The Acura MDX and RDX declared loud and clear why we call them the best 1-2 punch in the luxury SUV game, with record sales in the history of the Acura brand," said Mike Accavitti, Acura division senior vice president and general manager. "With our passenger car lineup now strengthened by the successful launch of the all-new TLX, the upcoming introduction of the redesigned ILX, and the highly anticipated NSX supercar set for its global debut in Detroit, the Acura brand is poised for great things in 2015."